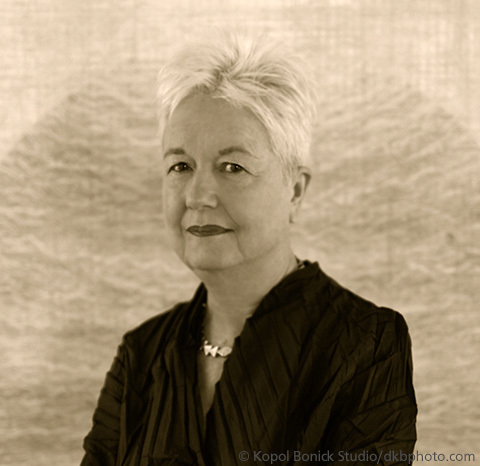 Eleanor Coppola is an accomplished documentary filmmaker, artist and costume designer. Eleanor was born in Southern California, and attended UCLA where she received a degree in Applied Design. In 1962, she was invited to Ireland to work on a low-budget independent film, Dementia 13. While serving as Assistant Art Director, she worked with Francis Coppola, who was directing his first feature film. The following year, Francis and Eleanor were married. Eleanor often accompanies Francis “on location” when he is shooting his films. While in the Philippines for the making of Apocalypse Now, she shot the documentary footage for the critically acclaimed, Emmy Award-winning Hearts of Darkness: A Filmmaker’s Apocalypse. During this period, she also kept a journal of her experiences, which was published in 1979 as Notes. During the 1996 filming of John Grisham’s The Rainmaker, Eleanor shot a documentary on Coppola’s techniques for working with actors. The Making of The Rainmaker aired on HBO and is widely considered to be one of the best “inside looks” at how a director works with and motivates his actors. In 2007, she made Coda: Thirty Years Later which offered a behind-the-scenes look at the trials and tribulations of Francis Ford Coppola directing Youth Without Youth, his first film after a ten-year hiatus. Eleanor has also made documentaries of her children’s films – The Making of the ‘Virgin Suicides,’ The Making of ‘Marie Antoinette,’ and On the Set of CQ. Eleanor began working with the Oberlin Dance Company Dance Company of San Francisco in 1989 by designing costumes and stage décor for a production of “The Yellow Wall Paper,” and accompanied the group on its Russian tour. She designed costumes for an evening-length work entitled “Western Women,” which premiered in 1993, and a piece for the Alvin Ailey Dance Company of New York in 1994. In 2008, Eleanor released the book “Notes on a Life,” a fascinating look into her life as an artist, documentary filmmaker and a mother. Eleanor Coppola is active in the management and merchandising of both Inglenook in Rutherford and Francis Ford Coppola Winery in Geyserville, as well as all three of the Coppola’s luxury hideaways in Central America.